Why do we go to our favorite coffee house regularly? Is it the sweet-bitter taste of a warm cup of coffee, the wide selection of drinks, the delicious snacks, comfy chairs, maybe? There can be plenty of good reasons, but there is always that one you are not sure how to explain – the je-ne-sais-qui of bars, pubs and coffee shops – the atmosphere. 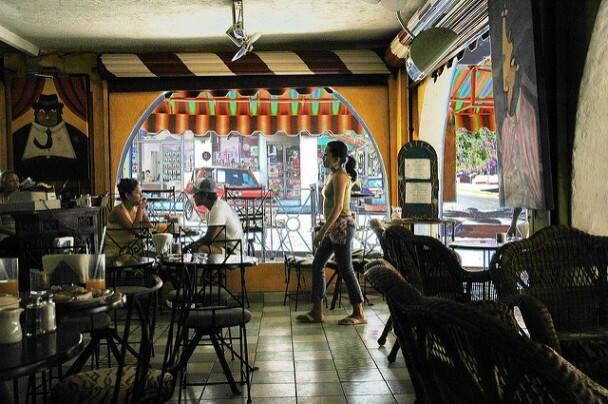 As the shop owner, though, you can tap into the reasons behind this vibe that makes a place unique and special, and use it to make people fall in love with your café. Here are some of the factors to count in. There is nothing more repelling for guests than a dirty and disorganized place. Sure, lipstick stains on glasses happen and the bar will be sticky and stained, every now and then, but if you deal with these issues on time, no one will even notice, and you will keep the pleasant atmosphere that attracts new guests and keeps the old ones coming back. 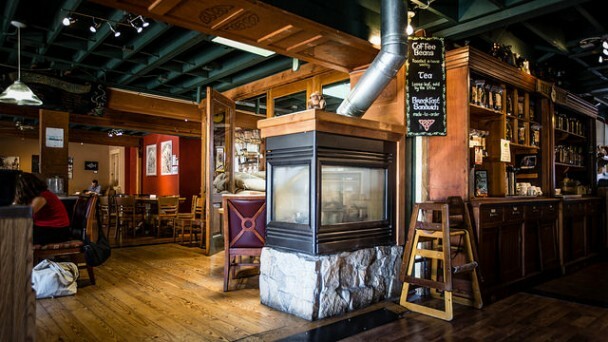 Some things you can do in order to make the space functioning better are the de-cluttering of the bar area, making enough walking space between the tables so that you can clean the floors efficiently, organizing the employees to maintain the premises. A totally silent café will discourage people from having a conversation, since they will constantly feel like they need to keep it down, while really loud music seems rather a choice for night clubs than for coffee shops. The music must match the overall mood in the café, e.g. if the premises are bright and modern, choose fast-paced music of today; for a more soothing atmosphere, opt for ballads or instrumentals. 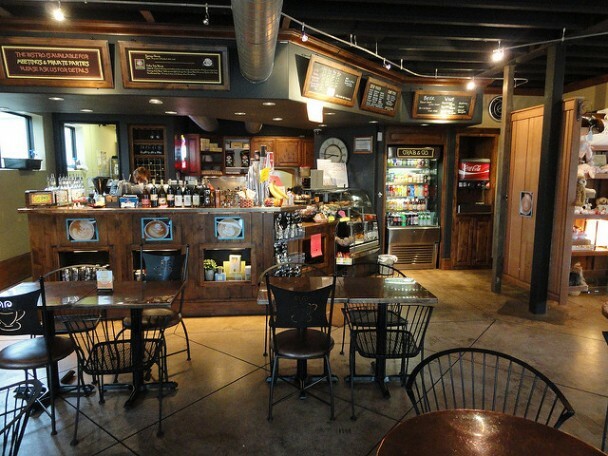 Consider further customization – if your coffee shop is Italian-themed, play Italian music. Too bright a light is always a terrible idea since it will create an unpleasant vibe. The lighting set up in a coffee shop should be not only adequate, but also versatile. Pendant lights can serve as a decorative element, while providing basic overhead lighting. Wall scones are used for relaxing effect, while floor lamps are task-oriented. You could also invest in ceiling LED lights for accent lighting since they spend less energy and last longer. Have you heard of the psychology of colors? Basically each color has a specific influence on a certain amount of people. For instance, vibrant red is generating energy, but it is also causing anxiety, so it would be best to use it on accent pieces alone. Green, blue, yellow and warm neutrals can produce a similar effect. Avoid using too much white, as it can produce a hospital-like atmosphere. From the interior design of the place to the graphic design of the menus, the image you create about yourself and your coffee shop will impact how the customers feel about it. Also, pay attention to your table toppers and other small things you wouldn’t notice, but the guests would appreciate. Overly uptight uniforms will generate the same atmosphere, and repel most of the guests. It is always better to opt for customized t-shirts and jeans, to make your employees more approachable. At the same time, the workers will feel much more comfortable and therefore be kinder and more welcoming. A good coffee shop must look way beyond sitting and sipping a warm cup. It should have entertainment options which will keep the guests occupied for a while. Consider introducing a jukebox machine, darts, silent disco, make-your-own coffee options, etc. Now, why the guests go to your café all the time? Is it the coffee, the snacks, the comfy chairs or something else? It is actually the combination of all of these factors joined in perfect harmony.